Cove Tower high-rises located off of Wiggins Pass Road in the Tarpon Cove community. 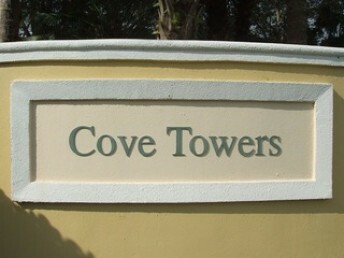 Cove Towers is a marvelous gated high-rise community that consists of 5 different towers. 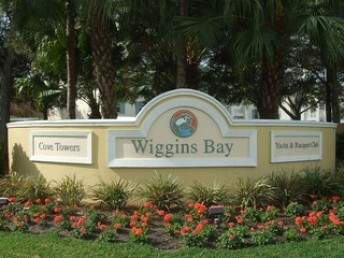 This high-rise community has picturesque view of Wiggins Bay, nature preserve, and Gulf of Mexico. 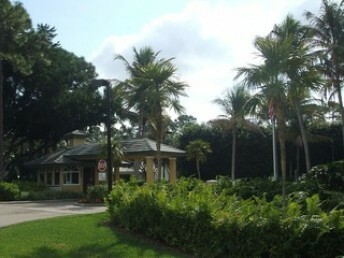 The residents are members of Tarpon Cove Yacht & Racquet Club that features a restaurant, clubhouse, tennis courts, pool bar and lounge. A water shuttle takes members to the Delnor-Wiggins Pass State park at the mouth of Wiggins Bay.